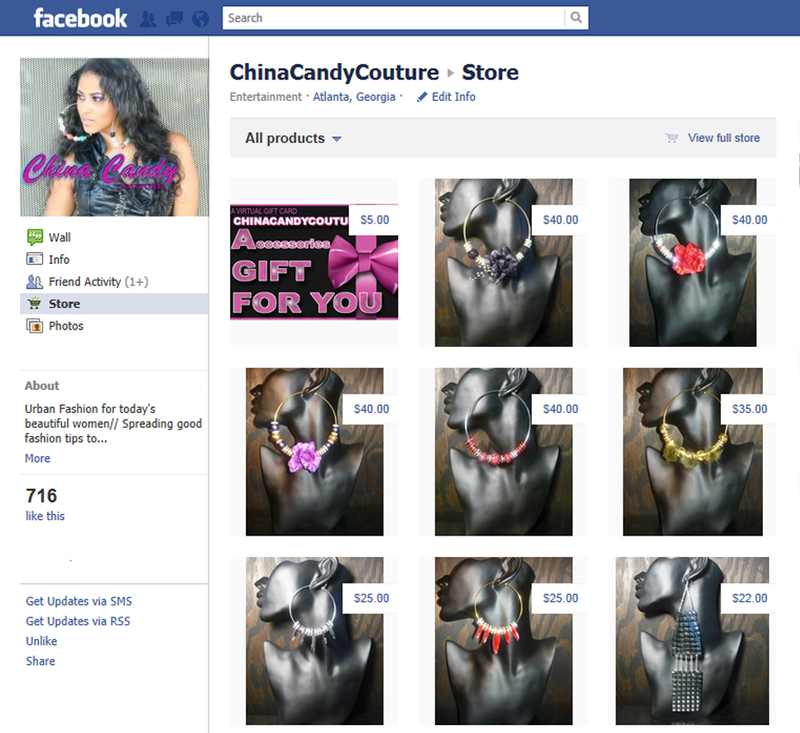 LIKE our Facebook Fan page and send us photos of you wearing your China Candy Couture to enter for a chance to win a free gift card! You can now shop China Candy Couture Accessories directly from your Facebook page! Just "Like" our fan page and click the "STORE" tab on the left side of the page to begin shopping.